Two new branches of Home Study, a public cultural space in Jiading district, Shanghai, began trial operations recently, increasing the number of these spaces to 20. Home Study, a cultural project that started in 2017 in Jiading, provides spaces that are designed to be multifunctional, including a 24-hour self-service library and space for cultural exchanges and relaxation. Each Home Study is unique and has its own theme and characteristics. The two newly opened ones are located in the core area of Cao'an business circle and Zhenxin Street. The Cao'an one covers 130 square meters and houses over 3,000 books. The Zhenxin one covers 370 square meters and houses over 5,000 books, and it also has a children's reading area. 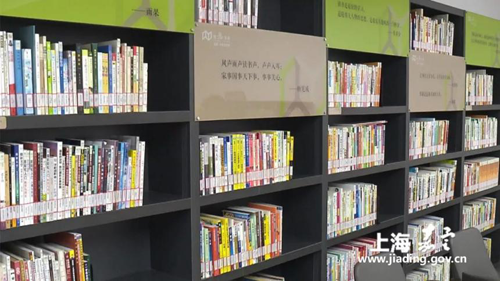 At present, Home Study in Jiading has 131,000 books and has received more than 858,000 readers.